Whenever you delete data, the physical information will remain on your disk. What's more, the data can be recovered with specialized tools, so if you need to get rid of sensitive information, simply deleting the files won't help. This is where Permanent Eraser comes in. With this lightweight application, you can make sure that any files you delete will stay deleted. The best part is that you don't have to go through a lengthy process for this purpose. All you have to do is run Permanent Eraser and the application will do the rest. It's that simple. Of course, you will have to move the files you wish to shred to the trash can before anything else, because the application is aimed specifically at trashed data. 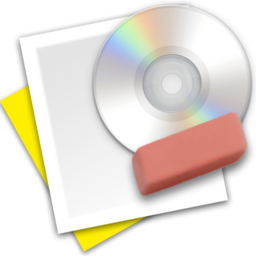 Instead of emptying the trash the usual way, you can run Permanent Eraser, to make sure the files will never be salvaged with any kind of recovery utility. When launched, the application will ask for confirmation, after which it will start shredding everything the trash can without asking for any further user input. You may notice that the shredding process is quite slow, especially if you have large amounts of data to erase. Fortunately, you can bring up Permanent Eraser's general settings menu, in which you may choose a different shredding algorithm and install contextual plugins. What's more, the application is capable of erasing optical discs as well. You can set it to quick or complete wipe in the same menu. Permanent Eraser's functionality is very straightforward. The application supports various shredding algorithms. What's more, you can use it to wipe optical discs as well. You can't manually aim the application at specific files or folders. With Permanent Eraser, any data you delete will be completely destroyed and impossible to recover, regardless of what recovery application you try. You can download Permanent Eraser free here.